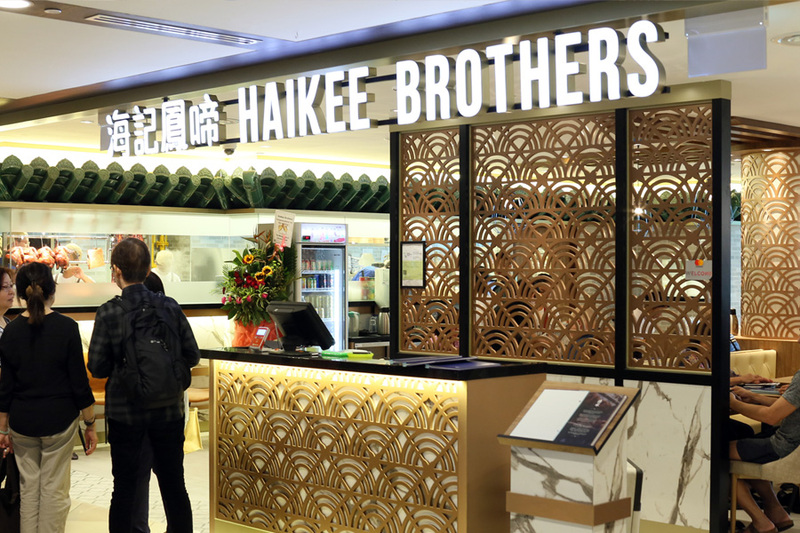 Haikee Brothers is already quite packed within the first week of operations at its new venture at Chinatown Point. 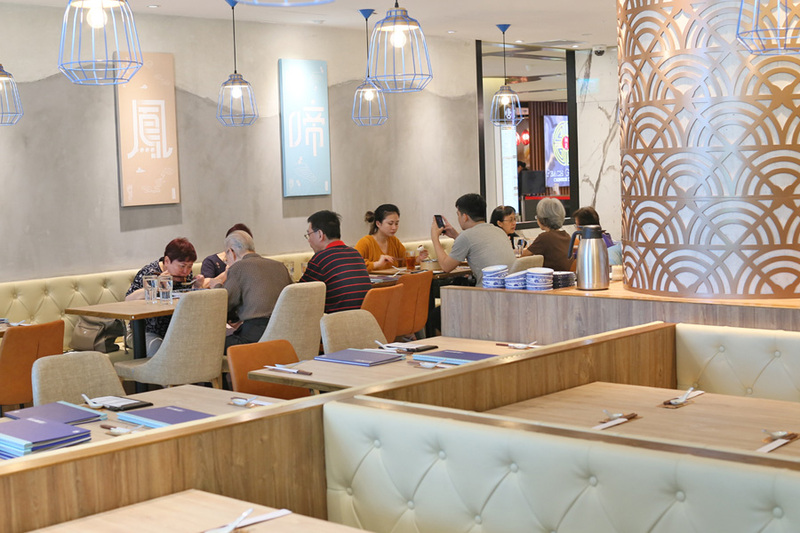 Families with grandparents and elderly couples were heading down to have a taste of their Soy Sauce Chicken. 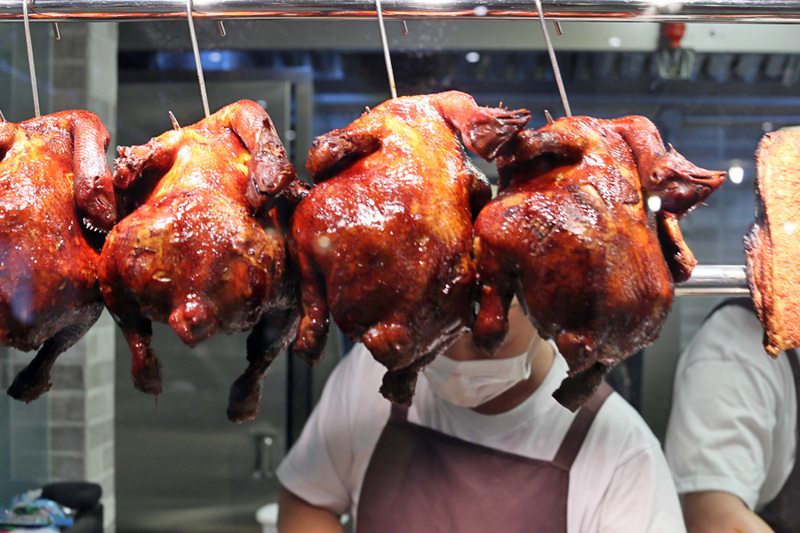 Hai Kee Chicken 海记 is back in Chinatown. 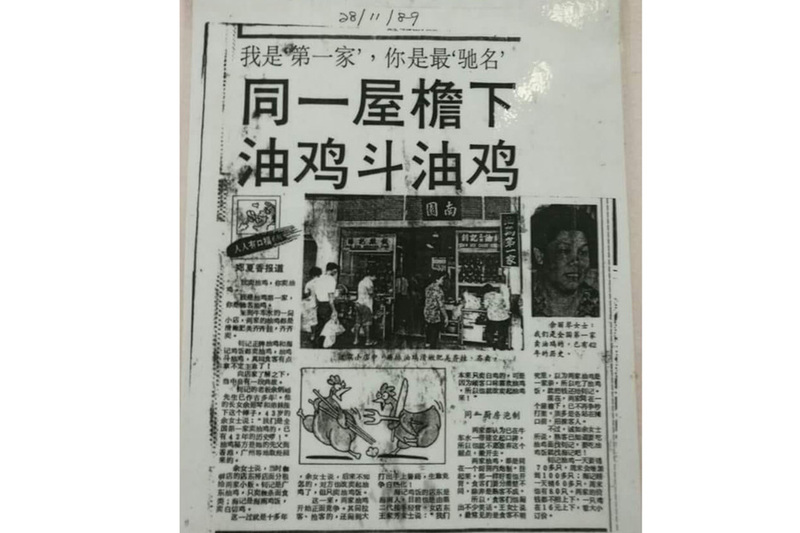 Some history: Hai Kee originally started during the 1950s along Upper Cross Street just across the road from Chinatown Point, interestingly in the same coffee-shop as Chew Kee (which has split to Chiew Kee Noodle House and Original Chew Kee Eating House). 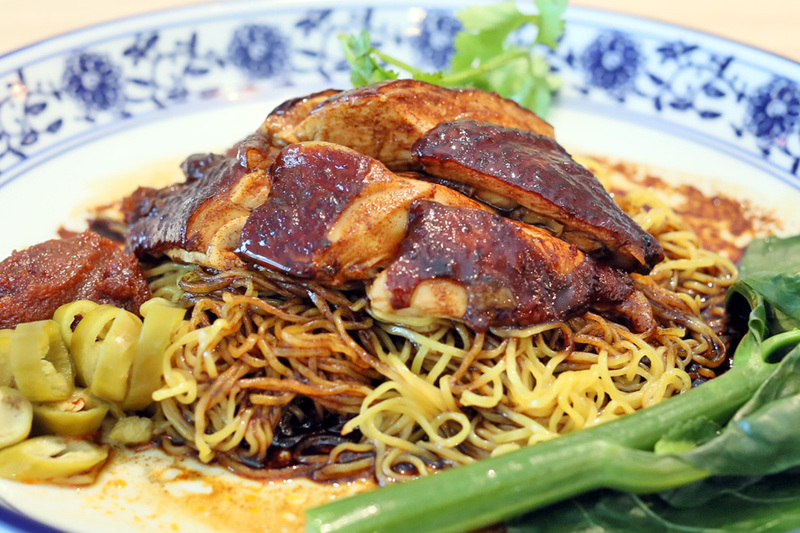 The two competing stalls were both selling Soy Sauce Chicken, but the kopitiam owner requested them to sell different items – so one sold rice, while the other offered noodles. 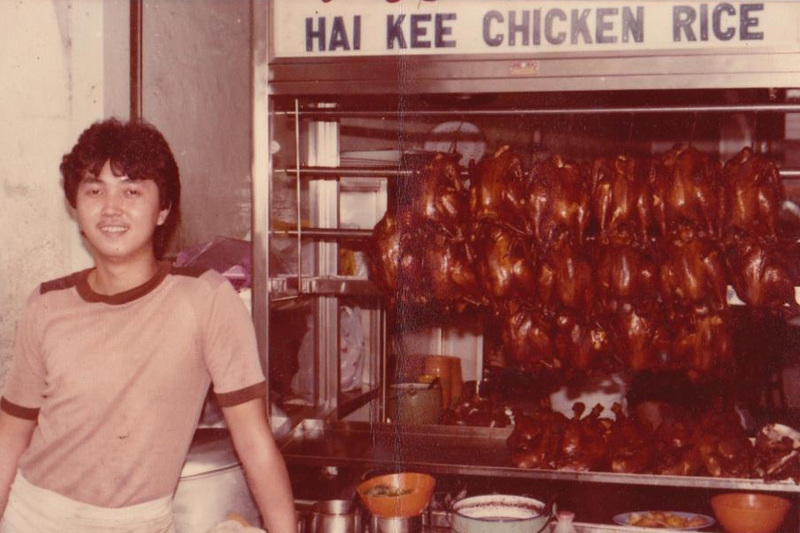 Both stalls enjoyed great fame during the 1980s. 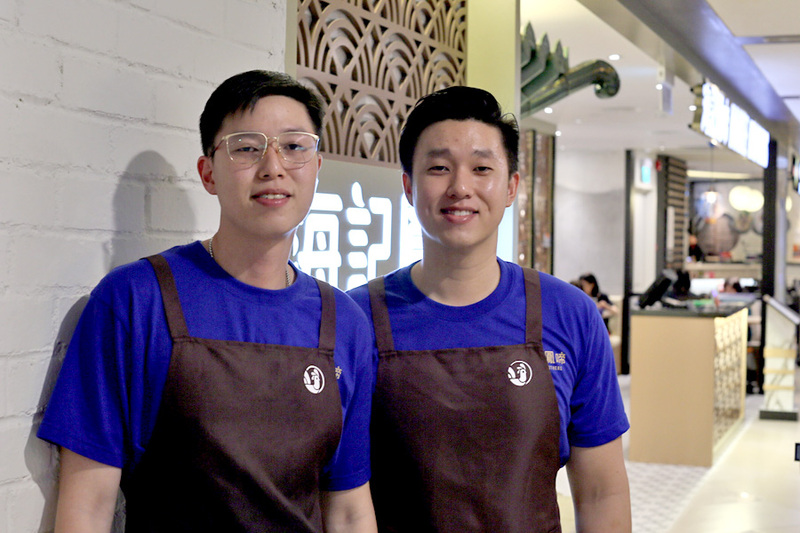 Haikee Brothers is now helmed by 3rd generation hawkers James and Joseph Wang with another stall at Bedok North Street 1, while the restaurant at Chinatown Point is a partnership – which explains its extensive menu. 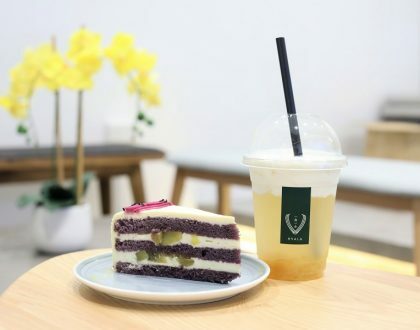 Recommended dishes include HKB Soy Chicken Ramen ($6.50), Home Style Braised Pork Trotters Bee Hoon ($16.80 meant for 2 pax), XO Seafood Bee Tai Bak ($9.50), Sizzling Ma La Niang Dou Fu ($8.50), Laksa Seafood Fried Rice ($9.50), and HKB Soy Sauce Lor Mee ($7.50). 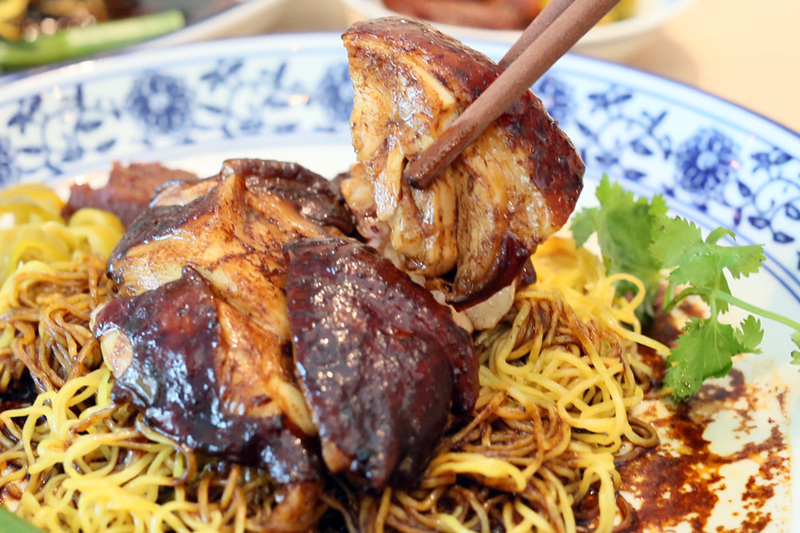 The Soy Sauce Drumstick Noodles ($6.50) certainly lived up to its name, the chicken glossy and looked thoroughly braised in dark sauce with springy noodles also drenched in sauces. 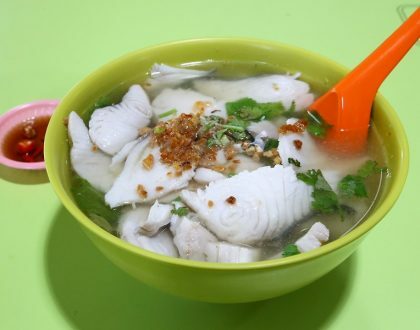 After taking a piece, I wonder how they made the chicken meat that soft and supplely-moist, the skin almost translucently thin that I did not think twice before savouring it down. 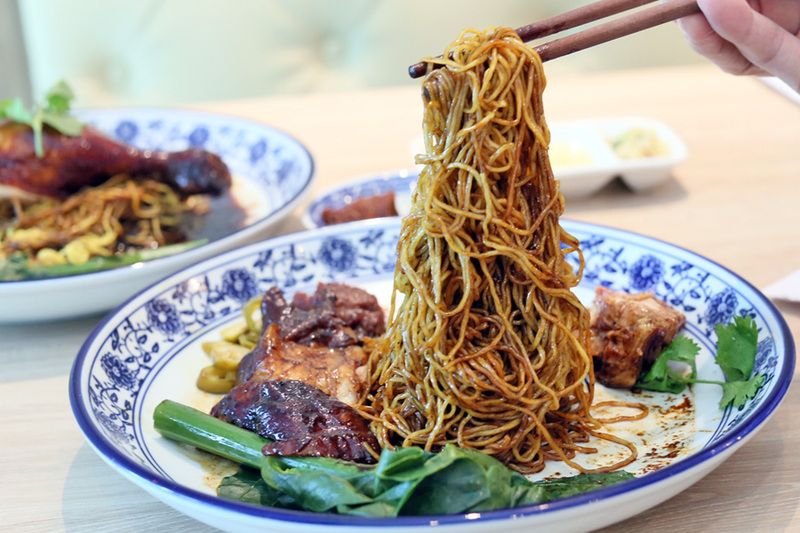 Well, all thanks to the Michelin-starred Hawker Chan Liao Fan Hong Kong Soya Sauce Chicken Rice and Noodle too, people are paying attention to Soy Sauce Chicken once again instead of just Hainanese Chicken Rice. 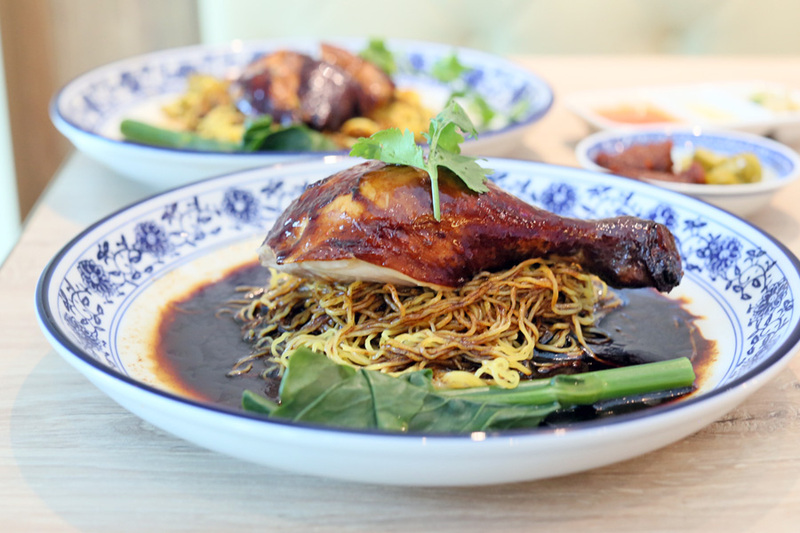 James explained that the chicken went through a continual braising process in their special sauce – a heavily guarded family recipe, which allowed the chicken to absorb the flavours more completely. With that said, I had the same noodles twice in a week. The first it was certainly considered above average, but it was the second time with the chicken a lot warmer that left me the better impression. 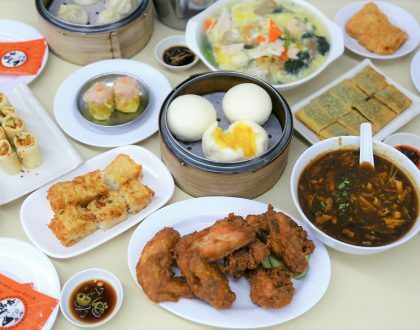 I would also say leave some room for the roasted meats ($10.80 for two choices, $14.80 for three). 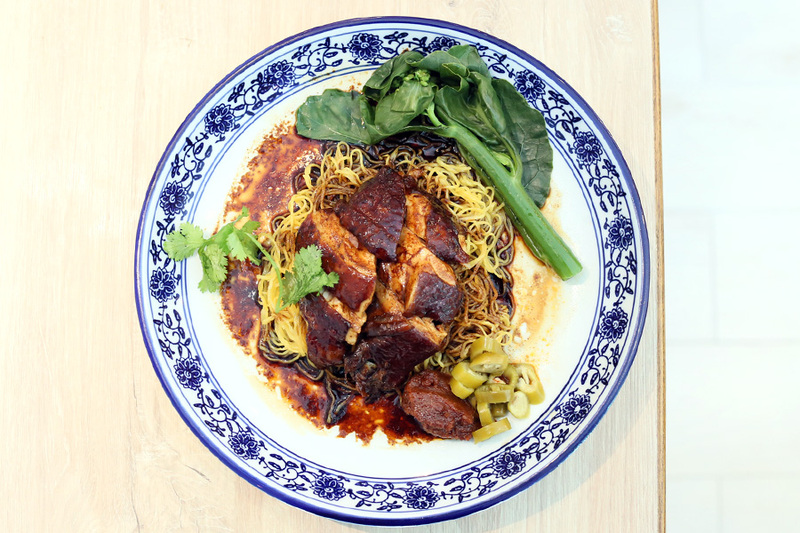 While the Roasted Pork was slightly on the tough side, the BBQ Char Siew with its caramelised sweetness and tender meat was well worth the order as well. 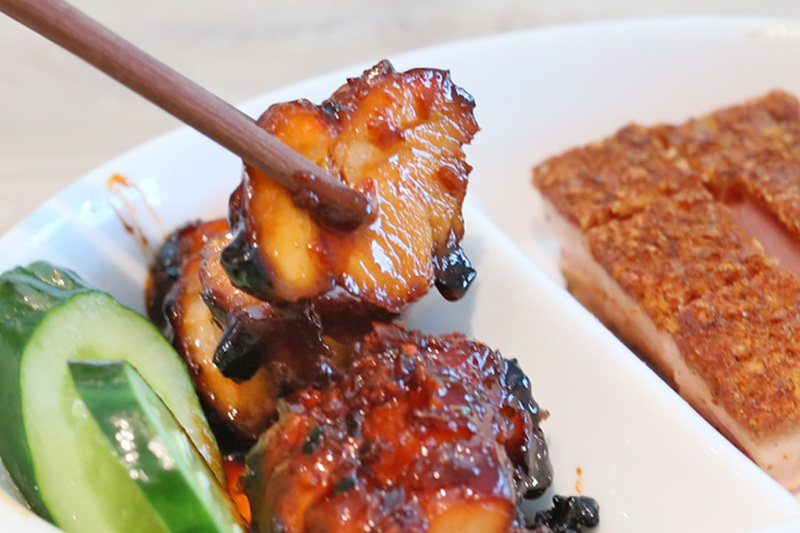 It also thrills me to find good Char Siew in Singapore.